A major new report from Dutch bank ING has suggested that while the implications of Brexit will be profound for the whole of Europe, the UK’s exit from the European Union will be especially felt in emerging Europe. The automotive and textile industries, as well as agriculture, are likely to suffer the most. According to the report, Central Europe and Brexit: Who and what is most at risk? the automotive sector is the crown jewel of the Hungarian export sector and friction with the UK would hurt. 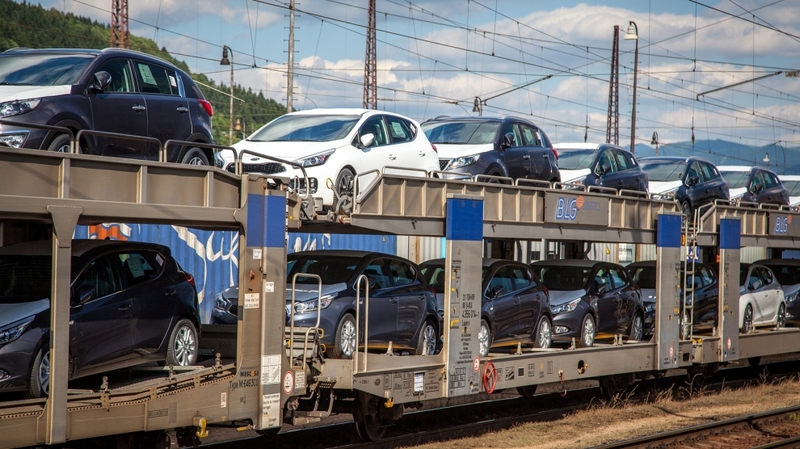 While Czech exports to the UK represented only five per cent of total exports in 2017, the concentration in motor vehicles is more important – with the UK representing around seven per cent of total Czech car exports. This makes the UK the second biggest car export destination after Germany. Meanwhile, electrical, machinery and transport equipment comprise around 50 per cent of Romanian exports to the UK. The sector that arguably faces the biggest challenge is agriculture and food, particularly in the case of a ‘no deal’ Brexit. Food products, particularly meat-based, are the most heavily scrutinised items at borders. Neither Dover nor Calais, both major entry/exit ports for UK-EU trade, have the necessary veterinary inspection points needed to carry out these checks, risking long delays if there is no deal by March. Across the region, 170,000 jobs in farming, fishing and food manufacturing are directly exposed to UK export demand. The dominant commodities are chocolate, meat products and vegetables. Polish agricultural and processed food exports to the UK amount to approximately 1.4 billion euro annually. If the UK leaves the EU without a deal in March, Britain will automatically begin trading on World Trade Organisation (WTO) terms. It does have the alternative of choosing the ‘Canada-plus’ route, negotiating a new free trade agreement with the EU. However this would only come in to effect in 2021. After Germany, Britain is the largest export market for Poland and maintains a trade surplus of over eight billion euros with the UK. In addition there is still a huge void when it comes to the effect Brexit will have on the trade in services. This sector could be impacted by a loss of market access to specialists, not to mention the impact on sharing of data. There is also an issue on the free movement of people in the services sector. However, one of the biggest blows for emerging Europe will be the impact on the 2021-27 EU budget. At present six per cent of the budget is provided by the UK. “The indirect impact could be bigger, however. The UK’s departure will see average GDP per capita levels decline in the EU, depriving some countries of funds as their GDP per capita levels rise above the new EU average. This could impact the Czech Republic, Poland and Bulgaria,” explains the report. Which means funding to those countries could be cut. “We should not underestimate the impact Brexit could have on supply chains in the CEE region and the key sectors exposed which may suffer the biggest disruption. In terms of the financial implications, Romania may be more exposed from a decline in remittances than Poland, since the Polish presence in the UK workforce is more mature. Even though the loss of the UK’s budget contribution is meaningful, the bigger impact may come from the decline in the average GDP per capita level in the EU. This and fresh priorities will have profound implications for the 2021-27 budget round, potentially delivering over 20 per cent declines in real terms for the likes of the Czech Republic, Poland and Hungary,” concludes the report.